5. Q. Wang, S. J. Ling, X. P. Liang, H. M. Wang, H. J. Lu, Y. Y. Zhang*. 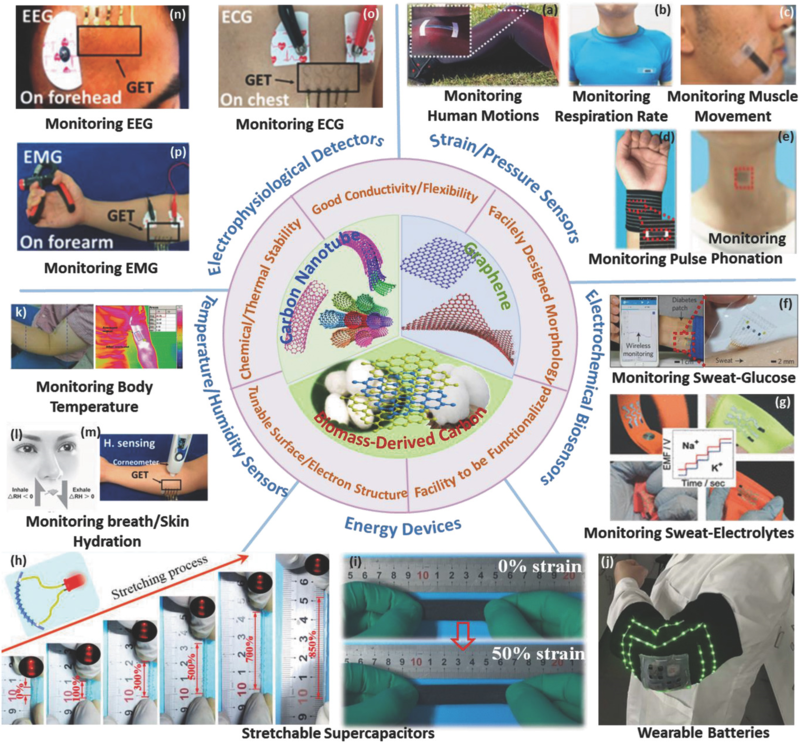 Self‐Healable Multifunctional Electronic Tattoos Based on Silk and Graphene. Adv. Funct. Mater. 2019, DOI: 10.1002/adfm.201808695. 4. C. Y. Wang, K. L. Xia, H. M. Wang, X. P. Liang, Z. Yin, Y. Y. Zhang*. Advanced Carbon for Flexible and Wearable Electronics. Adv. Mater. 2019, 31 (9), 1801072. 2. C. Y. Wang, W. X. Chen, K. L. Xia, N. H. Xie, H. M. Wang, Y. Y. Zhang*.Silk‐Derived 2D Porous Carbon Nanosheets with Atomically‐Dispersed Fe‐Nx‐C Sites for Highly Efficient Oxygen Reaction Catalysts. Small. 2019, 15, 1804966. 1. C. Y. Wang, N. H. Xie, Y. L. Zhang, Z. H. Huang, K. L. Xia, H. M. Wang, S. J. Guo*, B. Q. Xu*, Y. Y. Zhang*.Silk Derived Highly Active Oxygen Electrocatalysts for Flexible and Rechargeable Zn-Air Battery . Chem. Mater. 2019, 31 (3), 1023-1029. 10. Z. Yin, M. Q. Jian, C. Y. Wang, K. L. Xia, Z. H. Liu, Q. Wang, M. C. Zhang, H. M. Wang, X. P. Liang, X. Liang, Y. W. Long, X. H. Yu, Y. Y. Zhang*. Splash-Resistant and Light-Weight Silk-Sheathed Wires for Textile Electronics. Nano Lett. 2018, 18(11):7085-7091..
9. Y. Y. Sun, L. W. Yang, K. L. Xia, H. Z. Liu, D. Han, Y. Y. Zhang*, J. Zhang*.“Snowing” Graphene using Microwave Ovens. Adv. Mater. 2018, 30(40):1803189(1-8). 8. M. C. Zhang, K. Chen, C. Y. Wang, M. Q. Jian, Z. Yin, Z. L. Liu, G. Hong, Z. F. Liu, Y. Y. Zhang*. Mineral-templated three-dimensional graphene architectures for energy-efficient electrodes. Small 2018, 14 (22): 1801009(1-9). 7. H. M. Wang, C. Y. Wang, M. Q. Jian, Q. Wang, K. L. Xia, Z. Yin, M. C. Zhang, X. P. Liang, Y. Y. Zhang*.Superelastic Wire-shaped Supercapacitor Sustaining 850% Tensile Strain Based on Carbon Nanotube@Graphene Fiber. Nano Research 2018. 11(5), 2347-2356. 6. K. L. Xia, C. Y. Wang, M. Q. Jian, Q. Wang, Y. Y. Zhang*. 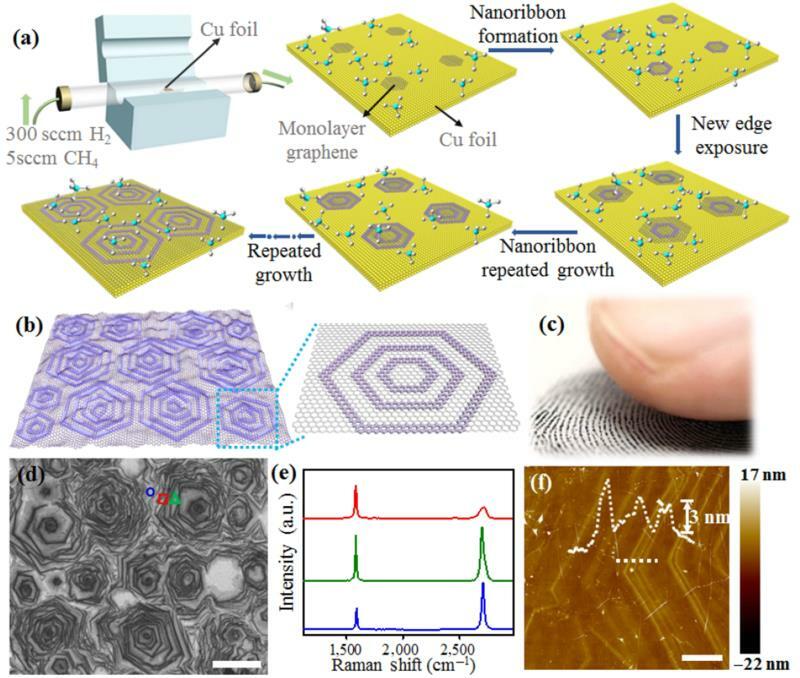 CVD growth of fingerprint-like patterned 3D graphene film for an ultrasensitive pressure sensor . Nano Research 2018, 11(2):1124-1134. 5. Y. T. Li, H. Tian, H. M. Zhao, M. Q. Jian, Y. J. Lv, Y. Tian, Q. Wang, Y. Yang, Y. Xiang*, Y. Y. Zhang*, T. L. Ren*. A novel cell-scale bio-nanogenerator based on electron-ion interaction for fast light power conversion.Nanoscale 2018, 10, 526-532. 4. Y. Pang, K. N. Zhang, Z. Yang, S. Jiang, Z. Y. Ju, Y. X. Li, X. F. Wang, D. Y. Wang, M. Q. Jian, Y. Y. Zhang, R. R. Liang*, H. Tian*, Y. Yang*, T. L. Ren*.Epidermis Microstructure Inspired Graphene Pressure Sensor with Random Distributed Spinosum for High Sensitivity and Large Linearity.ACS Nano 2018, 12 (3), 2346–2354. 3. S. J. Ling, Q. Wang, D. Zhang, Y. Y. Zhang, X. Mu, D. L. Kaplan*, M. J. Buehler*. 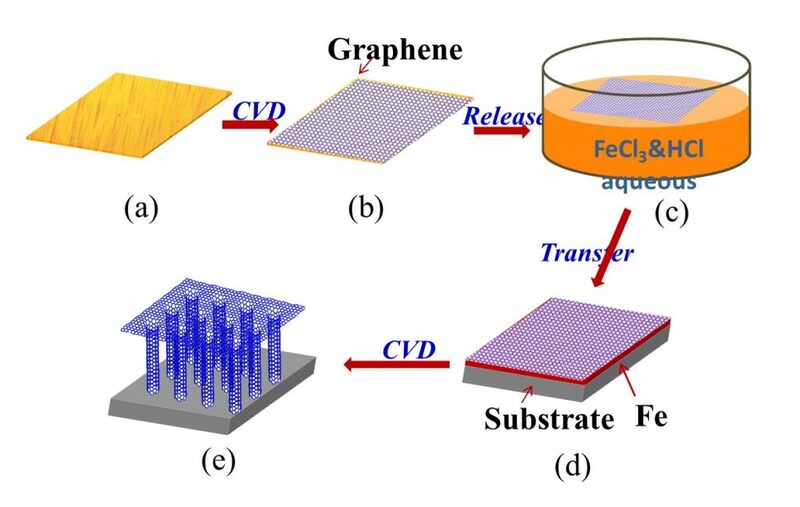 Integration of Stiff Graphene and Tough Silk for the Design and Fabrication of Versatile Electronic Materials. Adv. Funct. Mater. 2018, 28(9):1705291. 2. Z. Yang, D. Y. Wang, Y. Pang, Y. X. Li, Q. Wang, T. Y. Zhang, J. B. Wang, X. Liu, Y. Y. Yang, J. M. Jian, M. Q. Jian, Y. Y. Zhang, Y. Yang*, T. L. Ren*.Simultaneously Detecting Subtle and Intensive Human Motions Based on a Silver Nanoparticles Bridged Graphene Strain Sensor.ACS Appl. Mater. Interfaces 2018, 10 (4), 3948-3954. 1. Z. Yang, Y. Pang, X. L. Han, Y. F. Yang, J. Ling, M. Q. Jian, Y. Y. Zhang, Y. Yang*, T. L. Ren*. 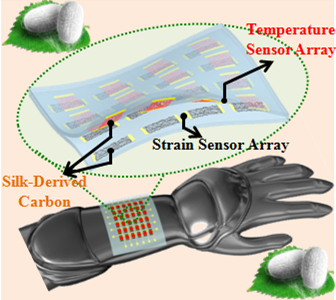 Graphene Textile Strain Sensor with Negative Variation for Human Motion Detection. ACS Nano 12(9):9134-9141..
17. Q. Wang, M. Q. Jian, C. Y. Wang, Y. Y. Zhang*. 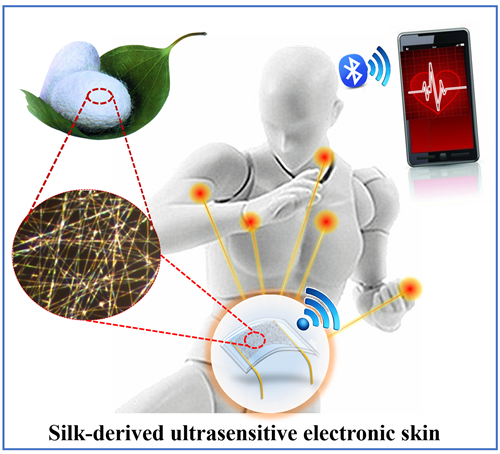 Carbonized silk nanofiber membrane for transparent and sensitive electronic skin. Adv. Funct. Mater. 2017.27.1605657. 16. 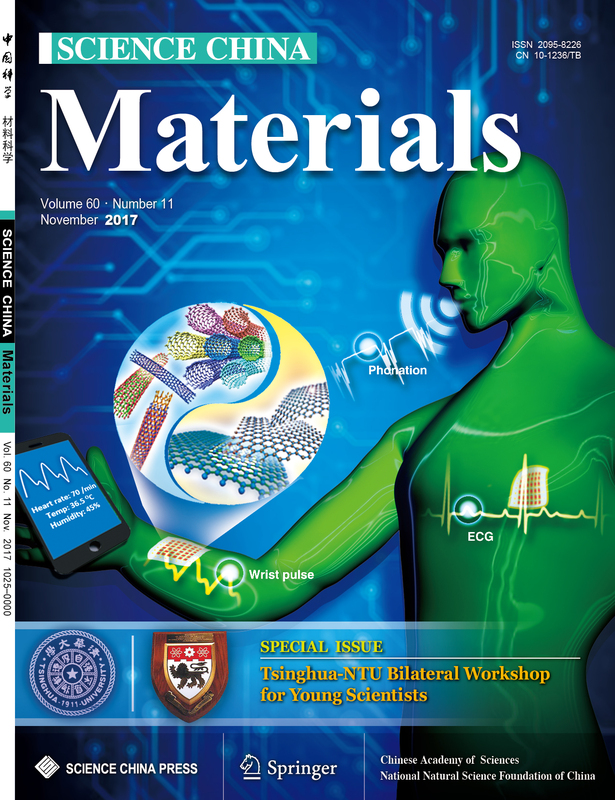 M. Q. Jian, K. L. Xia, Q. Wang, Z. Yin, H. M. Wang, C. Y. Wang, H. H. Xie, M. C. Zhang, Y. Y. Zhang*.Flexible and Highly Sensitive Pressure Sensors Based on Bionic Hierarchical Structures. Adv. Funct. Mater. 2017, 27, 1606066 . 15. M. C. Zhang, C. Y. Wang, H. M. Wang, M. Q. Jian, X. Y. Hao*, Y. Y. Zhang*.Carbonized Cotton Fabric for High Performance Wearable Strain Sensors. Adv. Funct. Mater. 2017, 27, 1604795. 14. X. D. Chen, Z. L. Chen, W. S. Jiang, C. H. Zhang, J. Y. Sun, H. H. Wang, W. Xin, L. Lin, M. K. Priydarshi, H. Yang, Z. B. Liu, J. G. Tian, Y. Y. Zhang*, Y. F. Zhang*, Z. F. Liu*. 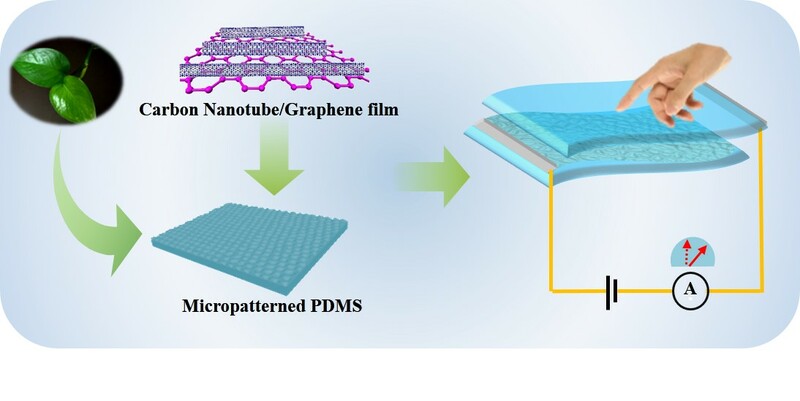 Fast Growth and Broad Applications of 25-Inch Uniform Graphene Glass. Adv. Mater. 2017, 29,1603428. 13. M. C. Zhang, C. Y. Wang; X. P. Liang, Z. Yin, K. L. Xia, H. M. Wang, M. Q. Jian, Y. Y. Zhang*.Weft-Knitted Fabric for a Highly Stretchable and Low-Voltage Wearable Heater . Adv. Electron. Mater. 2017, 3（9）, 201700193. 12. C. Y. Wang, K. L. Xia, M. C. Zhang, M. Q. Jian, Y. Y. Zhang*. An All Silk-Derived Dual-Mode E-skin for Simultaneous Temperature-Pressure Detection.ACS Appl. Mater. Interfaces 2017, 9 (45), 39484–39492. 11. Z. Yin, H. M. Wang, M. Q. Jian, Y. S. Li, K. L. Xia, M. C. Zhang, C. Y. Wang, Q. Wang, M. Ma, Q. S. Zheng, Y. Y. Zhang*. Extremely Black Vertically Aligned Carbon Nanotube Arrays for Solar Steam Generation. ACS Appl. Mater. Interfaces. 2017, 9:28596-28603. 10. C. Y. Wang, M. C. Zhang, K. L. Xia, X. Q. Gong, H. M. Wang, Z. Yin, B. L. Guan, Y. Y. Zhang*.. 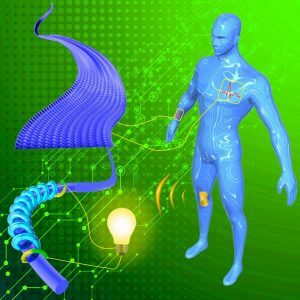 Intrinsically Stretchable and Conductive Textile by a Scalable Process for Elastic Wearable Electronics. ACS Appl. Mater. Interfaces 2017, 9 (15): 13331–13338. 9. 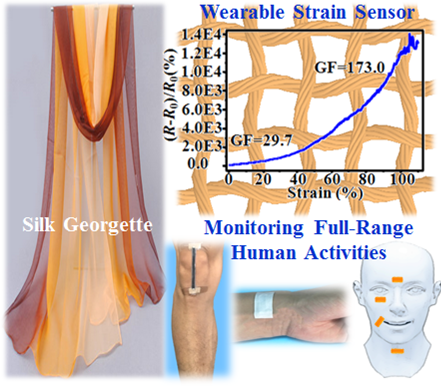 C. Y. Wang, K. L. Xia, M. Q. Jian, H. M. Wang, M. C. Zhang, Y. Y. Zhang*.Carbonized silk georgette as ultrasensitive wearable strain sensor for full-range human activity monitoring. J. Mater. Chem. C 2017, 5：7604-7611. 8. S. M. Zhang, D. L. Peng, H. H. Xie, Q. S. Zheng*, Y. Y. Zhang*. 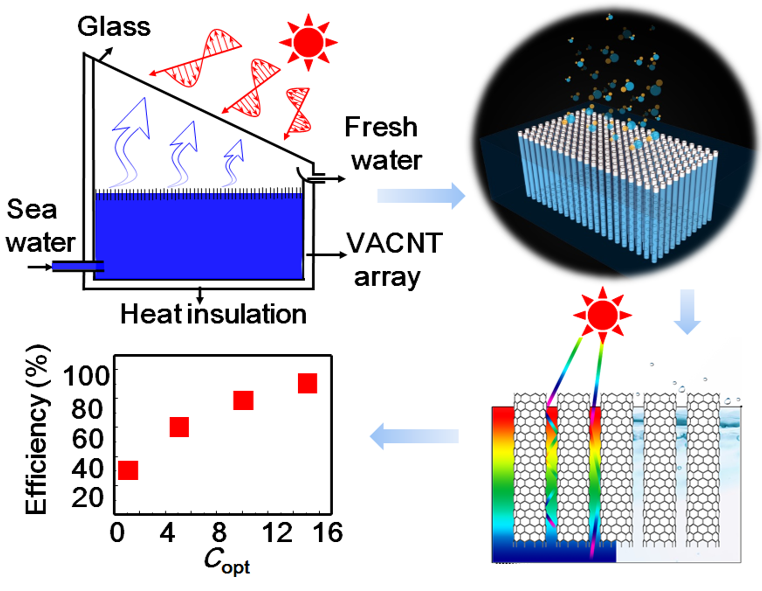 Investigation on the Formation Mechanism of Double-Layer Vertically Aligned Carbon Nanotube Arrays via Single-Step Chemical Vapour Deposition. Nano-Micro Lett. 2017, 9: 12. 6. R. F. Zhang, Y. Y. Zhang, F. Wei*. Horizontally aligned carbon nanotube arrays: growth mechanism, controlled synthesis, characterization, properties and applications. Chem. Soc. Rev. 2017,46,3661-3715. 5. Y. L. Cheng, C. Y. Wang, J. W. Zhong, S. Z. Lin, Y. J. Xiao, Q. Z. Zhong，H. L. Jiang, N. Wu, W. B. Li, S. W. Chen, B. Wang, Y. Y. Zhang, J. Zhou*. Electrospun polyetherimide electret nonwoven for bi-functional smart face mask.Nano Energy 2017, 34, 562-569. 4. R. F. Zhang, Y. Y. Zhang, F. Wei*. . Controlled Synthesis of Ultralong Carbon Nanotubes with Perfect Structures and Extraordinary Properties Acc. Chem. Res. 2017, 50, 179-189. 3. Z. L. Chen, X. D. Chen, H. H. Wang, X. Q. Li, L. Lin, K. Chen, H. N. Ci, X. S. Wu, Y. Y. Zhang, Y. F. Zhang*, Z. F. Liu*. One-Step Growth of Graphene/Carbon Nanotube Hybrid Films on Soda-Lime Glass for Transparent Conducting Applications.Adv. Electron. Mater. 2017, 3, 1700212..
2. J. H. Liu, H. H. Xie, Y. D. Hu, X. Zhang*, Y. Y. Zhang. Thermal transport in suspended SWCNTs at high heat fluxes. Int. J. Heat Mass Transf. 2017, 108, 572-576. 1. Q. Y. Li, K. L. Xia, J. Zhang, Y. Y. Zhang, Q. Y. Li, K. J. Takahashi, X. Zhang*. Measurement of specific heat and thermal conductivity of supported and suspended graphene by a comprehensive Raman optothermal method. Nanoscale 2017, 9, 10784-10793. 14. C.Y. Wang, X. Li, E. L. Gao, M. Q. Jian, K. L. Xia, Q. Wang, Z. P. Xu, T. L. Ren, Y. Y. Zhang*. 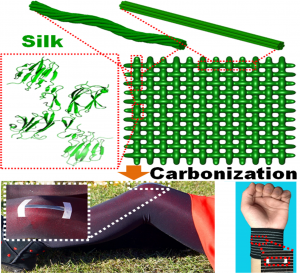 Carbonized Silk Fabric for Ultrastretchable, Highly Sensitive, and Wearable Strain Sensors. Adv. Mater. 2016, 28 (31), 6640-6648. 13. Q. Wang, C. Y. Wang, M. C. Zhang, M. Q. Jian, Y. Y. Zhang*. 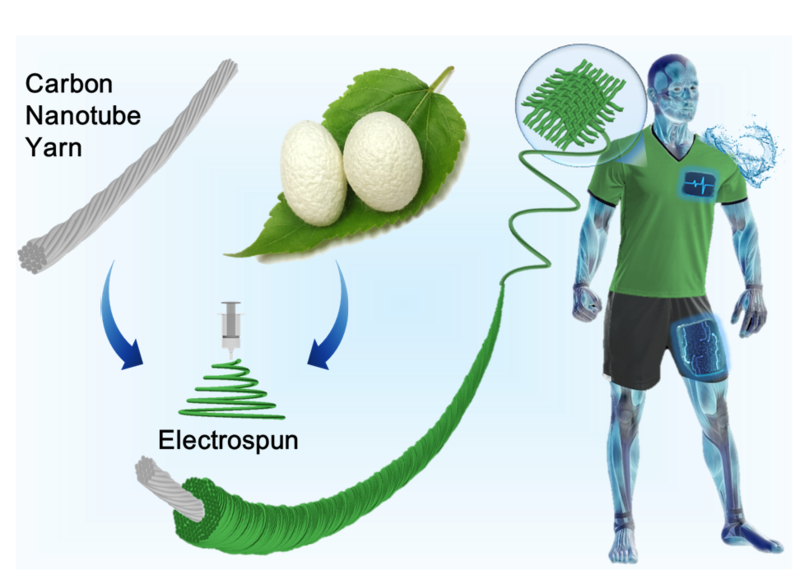 Feeding Single-Walled Carbon Nanotubes or Graphene to Silkworms for Reinforced Silk Fibers. Nano Lett. 2016, 16 (10), 6695-6700. 12. K. L. Xia, M. Q. Jian, W. L. Zhang, Y. Y. Zhang*. Visualization of Graphene on Various Substrates Based on Water Wetting Behavior. Adv. Mater. Interfaces 2016, 3 (6),1500674. 12. R. F. Zhang, Z. Y. Ning, Z. W. Xu, Y. Y. Zhang*, H. H. Xie, F. Ding, Q. Chen, Q. Zhang, W. Z. Qian, Y. Cui, F. Wei*. Interwall Friction and Sliding Behavior of Centimeters Long Double-Walled Carbon Nanotubes. Nano Lett. 2016, 16 (2), 1367-74. 11. M. C. Zhang, C. Y. Wang, Q. Wang, M. Q. Jian, Y. Y. Zhang*. 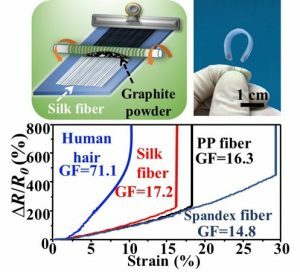 Sheath-Core Graphite/Silk Fiber Made by Dry-Meyer-Rod-Coating for Wearable Strain Sensors. ACS Appl. Mater. Interfaces 2016, 8 (32), 20894-20899. 10. C.Y. 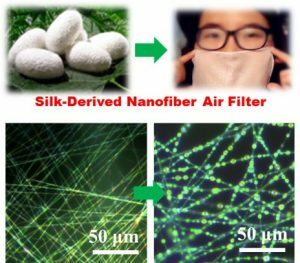 Wang, S. Y. Wu, M. Q. Jian, J. R. Xie, L. P. Xu, X. D. Yang, Q. S. Zheng, Y. Y. Zhang*.Silk nanofibers as high efficient and lightweight air filter. Nano Research 2016, 9 (9), 2590-2597. 9. K. L. Xia, V. I. Artyukhov, L. F. Sun, J. Y. Zheng, L. Y. Jiao, B. I. Yakobson, Y. Y. Zhang*. Growth of large-area aligned pentagonal graphene domains on high-index copper surfaces. Nano Research 2016, 9 (7), 2182-2189. 8. M. Q. Jian, H. H. Xie, Q. Wang, K. L. Xia, Z. Yin, M. Y. Zhang, N. Q. Deng, L. N. Wang, T. L. Ren, Y. Y. Zhang*.Volatile-nanoparticle-assisted optical visualization of individual carbon nanotubes and other nanomaterials. Nanoscale 2016, 8 (27), 13437-44. 7. K. L. Xia, M. Q. Jian, Y. Y. Zhang*. 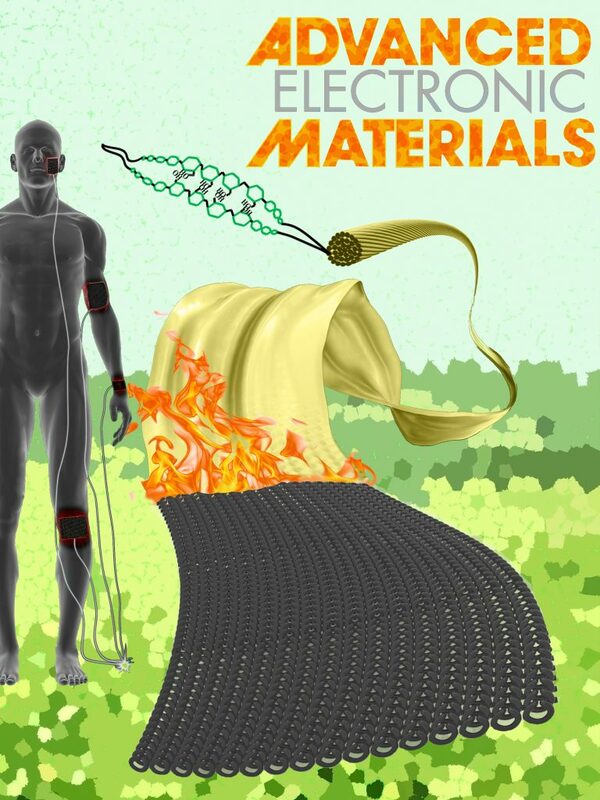 Advances in Wearable and Flexible Conductors Based on Nanocarbon Materials. Acta Phys.-Chim. Sin. 2016, 32 (10), 2427-2446. 6. H. H. Xie, R. F. Zhang, Y. Y. Zhang*, Z. Yin, M. Q. Jian, F. Wei*. Preloading catalysts in the reactor for repeated growth of horizontally aligned carbon nanotube arrays. Carbon 2016, 98, 157-161. 5. Z. L. Chen, B. L. Guan, X. D. Chen, Q. Zeng, L. Lin, R. Y. Wang, M. K. Priydarshi, J. Y. Sun, Z. P. Zhang, T. B. Wei, J. M. Li, Y. F. Zhang, Y. Y. Zhang*, Z. F. Liu*. Fast and uniform growth of graphene glass using confined-flow chemical vapor deposition and its unique applications. Nano Research 2016, 9 (10), 3048-3055. 4. E. Enriquez*, Y. Y. Zhang*, A. P. Chen, Z. X. Bi, Y. Q. Wang, E. G. Fu, Z. C. Harrell, X. J. Lü, P. Dowden, H. Y. Wang, C. L. Chen, Q. X. Jia*. Epitaxial growth and physical properties of ternary nitride thin films by polymer-assisted deposition. Appl. Phys. Lett. 2016, 109 (8), 081907. 3. C. Sui, Q. T. Luo, X. D. He*, L. Y. Tong, K. Zhang, Y. Y. Zhang, Y. Zhang, J. Y. Wu*, C. Wang*. A study of mechanical peeling behavior in a junction assembled by two individual carbon nanotubes. Carbon 2016, 107, 651-657. 2. N. Wei, H. X. Huang, Y. Liu, L. J. Yang, F. L. Wang, H. H. Xie, Y. Y. Zhang, F. Wei, S. Wang*, L. M. Peng*. Nanoscale color sensors made on semiconducting multi-wall carbon nanotubes. Nano Research 2016, 9 (5), 1470-1479. 1. H. W. Cao, H. M. Zhao, X. Xin, P. Z. Shao, H. Y. Qi, M. Q. Jian, Y. Y. Zhang, Y. Yang*, T. L. Ren*. Large-scale synthesis of WSe2 atomic layers on SiO2/Si. Mod. Phys. Lett. B. 2016, 30 1650267. 1. W. L. Zhang, H. H. Xie, R. F. Zhang, M. Q. Jian, C. Y. Wang, Q. S. Zheng, F. Wei, Y. Y. Zhang*. Synthesis of three-dimensional carbon nanotube/graphene hybrid materials by a two-step chemical vapor deposition process. Carbon 2015, 86, 358-362. 5. P. Li, C. Y. Wang, Y. Y. Zhang*, Fei Wei*.Air Filtration in the Free Molecular Flow Regime: A Review of High-Efficiency Particulate Air Filters Based on Carbon Nanotubes. Small 2014, 10 (22), 4543-4561. 4. Y. B. Chen, Y. Y. Zhang, Y. Hu, L. X. Kang, S. C. Zhang, H. H. Xie, D. Liu, Q. C. Zhao, Q. W. Li, J. Zhang*.State of the art of single-walled carbon nanotube synthesis on surfaces. Adv Mater. 2014, 26 (34), 5898-5922. 3. H. H. Xie, R. F. Zhang, Y. Y. Zhang*, W. L. Zhang, M. Q. Jian, C. Y. Wang, Q. Wang, F. Wei*. Graphene/graphite sheet assisted growth of high-areal-density horizontally aligned carbon nanotubes. Chem. Commun. 2014, 50 (76), 11158-11161. 2. 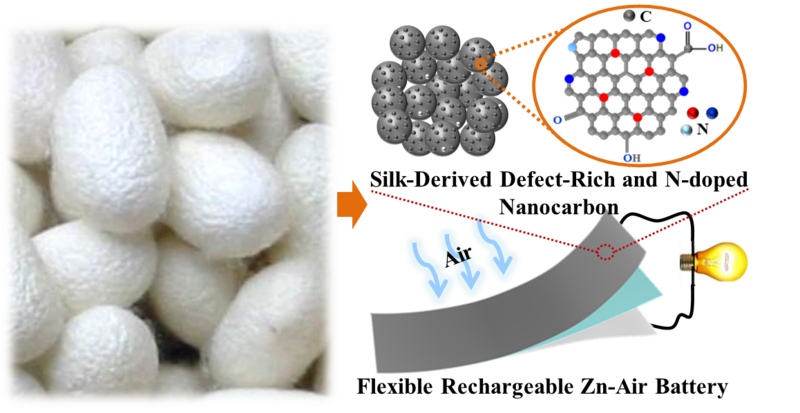 C. Y. Wang, P. Li, Y. C. Zong, Y. Y. Zhang*, S. Q. Li, F. Wei*.A high efficiency particulate air filter based on agglomerated carbon nanotube fluidized bed. Carbon 2014, 79, 424-431. 1. 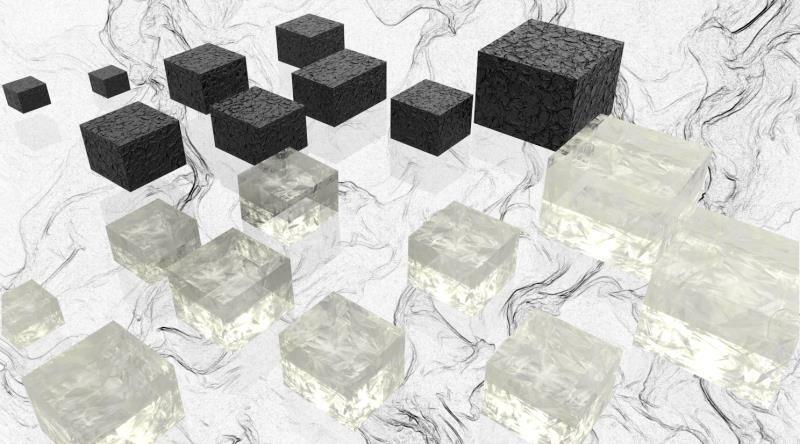 P. Li, C. Y. Wang, Z. Li, Y. C. Zong, Y. Y. Zhang*, X. D. Yang, S. Q. Li, F. Wei*.Hierarchical carbon-nanotube/quartz-fiber films with gradient nanostructures for high efficiency and long service life air filters. RSC Adv. 2014, 4 (96), 54115-54121. 11. R. F. Zhang, Z. Y. Ning, Y. Y. Zhang*, Q. S. Zheng, Q. Chen, H. H. Xie, Q. Zhang, W. Z. Qian, F. Wei*.Superlubricity in centimetres-long double-walled carbon nanotubes under ambient conditions. Nat. Nanotechnol. 2013, 8 (12), 912-916. 10. R. F. Zhang, Y. Y. Zhang*, Q. Zhang, H. H. Xie, H. D. Wang, J. Q. Nie, Q. Wen, F. Wei*.Optical visualization of individual ultralong carbon nanotubes by chemical vapour deposition of titanium dioxide nanoparticles. Nat. Commun. 2013, 4, 1727. 9. R. F. Zhang, Y. Y. Zhang*, Q. Zhang, H. H. Xie, W. Z. Qian, F. Wei*.Growth of half-meter long carbon nanotubes based on Schulz–Flory distribution. ACS Nano 2013, 7 (7), 6156-6161. 8. Y. G. Jin, Y. Y. Zhang*, Q. Zhang, R. F. Zhang, P. Li, W. Z. Qian, F. Wei*. Multi-walled carbon nanotube-based carbon/carbon composites with three-dimensional network structures. Nanoscale 2013, 5 (13), 6181-6186. 7. R. F. Zhang, Z. Y. Ning, Y. Y. Zhang*, H. H. Xie, Q. Zhang, W. Z. Qian, Q. Chen*, F. Wei*.Facile manipulation of individual carbon nanotubes assisted by inorganic nanoparticles. Nanoscale 2013, 5 (14), 6584-6588. 6. 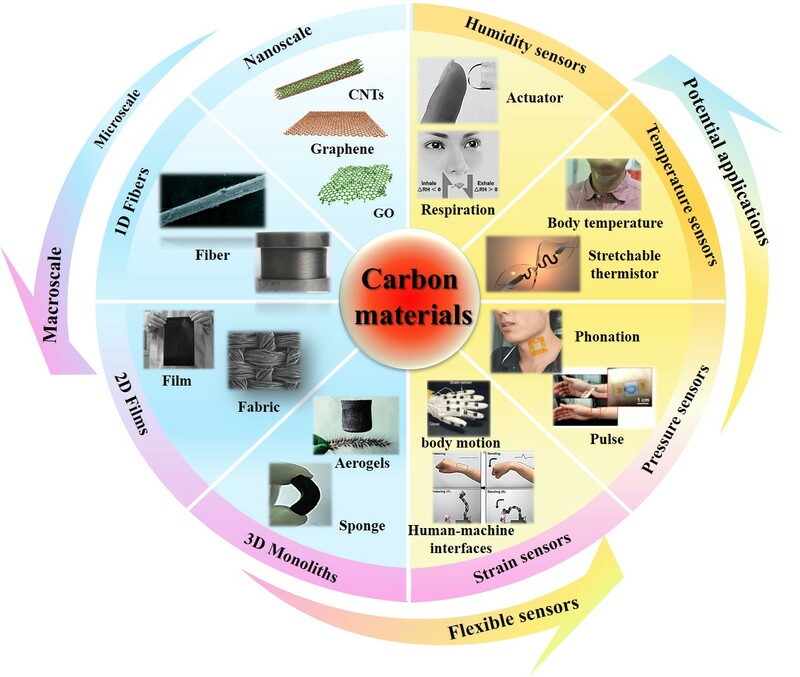 Q. Zhang, J. Q. Huang, W. Z. Qian, Y. Y. Zhang, F, Wei*.The Road for Nanomaterials Industry: A Review of Carbon Nanotube Production, Post-Treatment, and Bulk Applications for Composites and Energy Storage. Small 2013, 9 (8), 1237-1265. 5. P. Li, Y. C. Zong, Y. Y. Zhang*, M. M. Yang, R. F. Zhang, S. Q. Li, F. Wei*.In situ fabrication of depth-type hierarchical CNT/quartz fiber filters for high efficiency filtration of sub-micron aerosols and high water repellency. 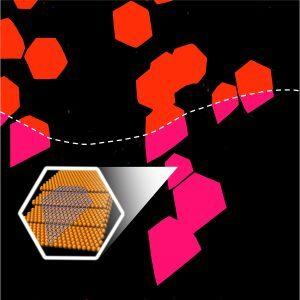 Nanoscale 2013, 5 (8), 3367-3372. 4. H. H. Xie, R. F. Zhang, Y. Y. Zhang*, P. Li, Y. G. Jin, F. Wei*. 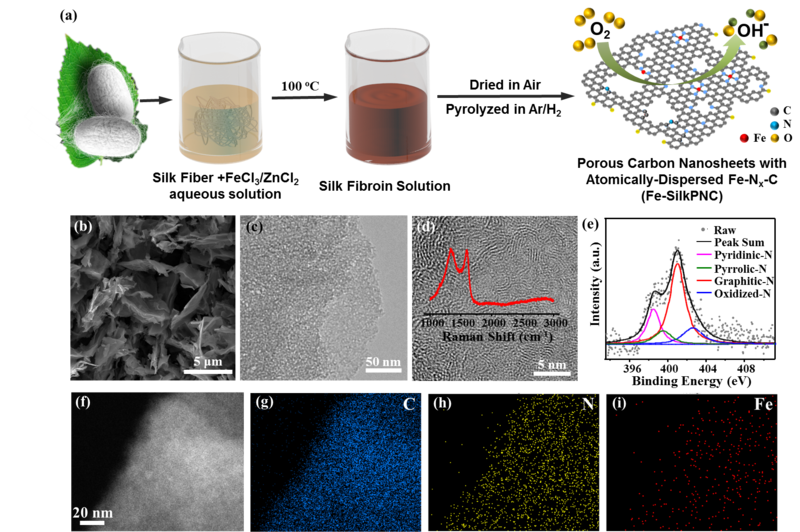 Growth of high-density parallel arrays of ultralong carbon nanotubes with catalysts pinned by silica nanospheres. Carbon 2013, 52, 535-540. 3. R. F. Zhang, H. H. Xie, Y. Y. Zhang*, Q. Zhang, Y. G. Jin, P. Li, W. Z. Qian, F. Wei*.The reason for the low density of horizontally aligned ultralong carbon nanotube arrays. Carbon 2013, 52, 232-238. 2. W. G. Ou-yang, X. Z. Liu, Q. Y. Li*, Y. Y. Zhang, J. R. Yang, Q. S. Zheng*.Optical methods for determining thicknesses of few-layer graphene flakes. Nanotechnology 2013, 24 (50), 505701. 1. N. Haberkorn*, Y. Y. Zhang, J. Kim, T. M. McCleskey, A. K. Burrell, R. F. Depaula, T. Tajima, Q. X. Jia, L. Civale.Upper critical magnetic field and vortex-free state in very thin epitaxial delta-MoN films grown by polymer-assisted deposition. Supercond. Sci. Technol. 2013, 26 105023. 4. Y. Y. Zhang, J. Zhang*. Application of Resonance Raman Spectroscopy in the Characterization of Single-Walled Carbon Nanotubes. Acta Chim. Sin. 2012, 70 (22), 2293-2305. 3. X. H. Yu*, J. Z. Zhang, Y. Y. Zhang, L. P. Wang, Y. S. Zhao*.Comparative studies of yield strength and elastic compressibility between nanocrystalline and bulk cobalt. J. Appl. Phys. 2012, 111 (11),113506. 2. Y. Y Zhang*, F. Ronning, K. Gofryk, H. Wang, M. Zhuo, J. H. Lee, N. A. Mara, Y. T. Zhu, Q. X. Jia*. Aligned carbon nanotubes sandwiched in epitaxial NbC film for enhanced superconductivity. Nanoscale 2012, 4 (7), 2268-2271. 1. X. L. Li*, J. H. Cho, N. Li, Y. Y. Zhang, D. Williams, S. A. Dayeh, S. T. Picraux*.Carbon Nanotube-Enhanced Growth of Silicon Nanowires as an Anode for High-Performance Lithium-Ion Batteries. Adv. Energy Mater. 2012, 2 (1), 87-93. 24. Y. Y. Zhang*, N. F. Haberkorn, F. Ronning, H. Wang, M. Zhuo, C. Li, J. H. Lee, K. J. Blackmore, E. Bauer, A. K. Burrell, T. M. Mccleskey, M. E. Hawley, R. K. Schulze, T. Tajima, Q. X. Jia*.Epitaxial Superconducting delta-MoN Films Grown by a Chemical Solution Method. J. Am. Chem. Soc. 2011, 133 (51), 20735-20737. 23. G. F. Zou*, H. M. Luo, S. Baily, Y. Y. Zhang, N. F. Haberkorn, J. Xiong, E. Bauer, T. Mccleskey, A. Burrell, L. Civale, Y. T. Zhu, J. L. Macmanus-Driscoll, Q. X. Jia*.Highly aligned carbon nanotube forests coated by superconducting NbC.Nat. Commun. 2011, 2, 428. 22. W. Liu*, X. H. Zhang, G, Xu, P. D. Bradford, X. Wang, H. B. Zhao, Y. Y. Zhang, Q. X. Jia, F. G. Yuan, Q. W. Li*, Y. P. Qiu, Y. T. Zhu*.Producing superior composites by winding carbon nanotubes onto a mandrel under a poly(vinyl alcohol) spray.Carbon 2011, 49, 4786-4791. 21. X. L. Li*, J. Thompson, Y. Y. Zhang, C. Brady, G. F. Zou, N. Mack, D. Williams, J. Duque, Q. X. Jia, S. K. Doorn*.Efficient Synthesis of Tailored Magnetic Carbon Nanotubes via a Noncovalent Chemical RouteNanoscale 2011, 3, 668-673. 20. 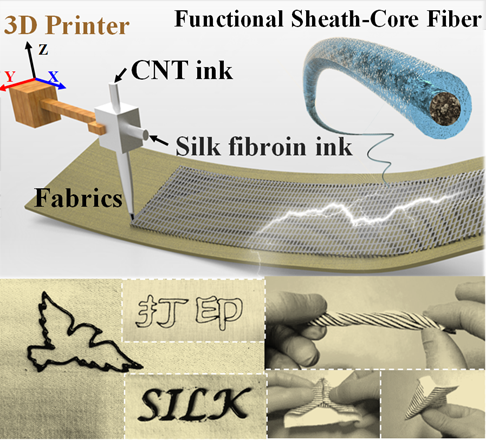 Y. Y. Zhang*, C. J. Sheehan, J. Y. Zhai, G. F. Zou, H. M. Luo, J. Xiong, Y. T. Zhu, Q. X. Jia*.Polymer-embedded carbon nanotube ribbons for stretchable conductors.Adv. Mater. 2010, 22, 3027-3031. 19. H. B. Zhao, Y. Y. Zhang, P. D. Bradford, Q. Zhou, Q. X. Jia, F. G Yuan*, Y. T. Zhu*.Carbon Nanotube Yarn Strain Sensors.Nanotechnology 2010, 21, 305502. 18. G. F. Zou*, H. M. Luo, Y. Y. Zhang, J. Xiong, Q. M. Wei, M. J. Zhuo, J. Y. Zhai, H. Y. Wang, D. Williams, N. Li, E. Bauer, X. H. Zhang, T. M. McCleskey, Y. R. Li, A. K. Burrell, Q. X. Jia*.A chemical solution approach for superconducting and hard epitaxial NbC films. Chem. Commun. 2010, 46, 7837-7839. 17. G. F. Zou*, M. Jain, H. Yang, Y. Y. Zhang, D. Williams, Q. X. Jia*. Recyclable and electrically conducting carbon nanotube composite films. Nanoscale 2010, 2, 418-422. 16. Y. Y. Zhang*, G. F. Zou, S. K. Doorn, H. Htoon, L. Stan, M. E. Hawley, C. J. Sheehan, Y. T. Zhu, Q. X. Jia*. Tailoring the morphology of carbon nanotube arrays: from spinnable forests to undulating foams. ACS Nano 2009, 3, 2157-2162. 15. Y. Y. Zhang*, L. Stan, P. Xu, H. L. Wang, S. K. Doorn, H. Htoon, Y. T. Zhu, Q. X. Jia*.A double-layered carbon nanotube array with super-hydrophobicity. Carbon 2009, 47, 3332-3336. 14. 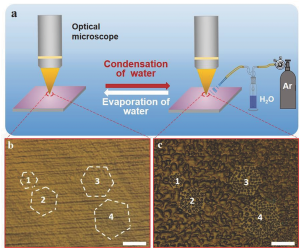 G. Y. Xie, J. Zhang, Y. Y. Zhang, Y. Y. Zhang, T. Zhu, Z. F. Liu*.Fabrication of Metal Suspending Nanostructures by Nanoimprint Lithography (NIL) and Isotropic Reactive Ion Etching (RIE). Sci. China Ser. E-Technol. Sci. 2009, 52, 1181-1186. 13. Y. Y. Zhang, L. M. Xie, J. Zhang*, Z. Y. Wu, Z. F. Liu*.Temperature coefficients of Raman frequency of individual single-walled carbon nanotubes.J. Phys. Chem. C 2007, 111, 14031-14034. 12. Y. Y. Zhang, H. Son, J. Zhang*, J. Kong, Z. F. Liu*.Laser heating effect on Raman spectra of individual suspended single-walled carbon nanotubes.J. Phys. Chem. C 2007, 111, 1988-1992. 11. Y. Y. Zhang, H. Son, J. Zhang*, M. S. Dresselhaus, J. Kong, Z. F. Liu*.Laser heating effect on Raman spectra of individual suspended single-walled carbon nanotubes.J. Phys. Chem. C 2007, 111, 1983-1987. 10. H. Son, G. G. Samsonidze, J. Kong*, Y. Y. Zhang, X. J. Duan, J. Zhang, Z. F. Liu, M. S. Dresselhaus.Strain and friction induced by van der Waals interaction in individual single walled carbon nanotubes.Appl. Phys. Lett. 2007, 90, 253113. 9. Y. Wu*, Z. Y. Zhou, X. Yang, M. F. Xiao, Q. Q. Luo, J. Zhang, Y. Y. Zhang, Y. G. Yao.Fabrication of single-walled carbon-nanotube with metallic electrodes.Indian J. Pure Appl. Phys. 2007, 45, 368-371. 8. G. Luo, G. Y. Xie, Y. Y. Zhang, G. M. Zhang, Y. Y. Zhang, P. Carlberg, T. Zhu*, Z. F. Liu.Scanning probe lithography for nanoimprinting mould fabrication. Nanotechnology 2006, 17, 3018-3022. 7. 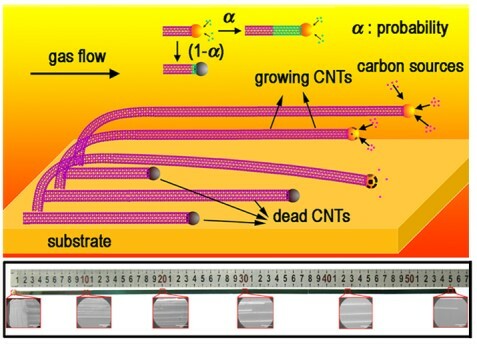 Y. Wu, Z. Zhou*, X. Yang, Y. Y. Zhang, M. Xiao, J. Zhang, J. Li.Microfabrication of single-wall carbon nanotube one dimensional unit. IEEE Sensors 2006, 1-3 896-899. 6. Y. Y. Zhang, J. Zhang*, H. Son, J. Kong, Z. F. Liu*.Substrate-induced Raman frequency variation for single-walled carbon nanotubes. J. Am. Chem. Soc. 2005, 127 (49), 17156-17157. 5. 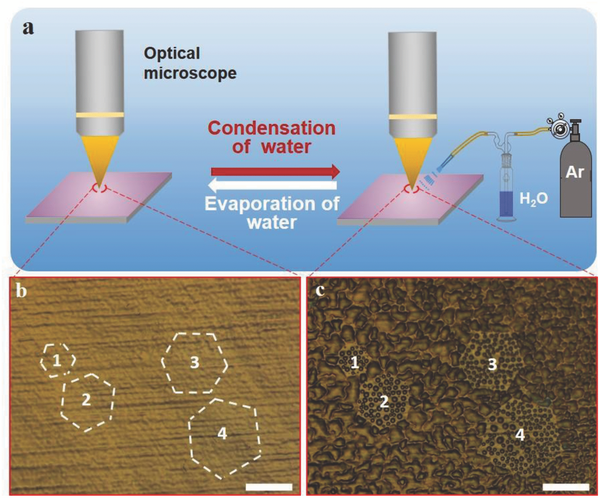 Y. Y. Zhang, J. Zhang*, G. Luo, X. Zhou, G. Y. Xie, T. Zhu, Z. F. Liu*.Fabrication of silicon-based multilevel nanostructures via scanning probe oxidation and anisotropic wet etching. Nanotechnology 2005, 16, 422-428. 4. L. Y. Jiao, H. J. Gao, G. G. Zhang, G. Y. Xie, X. Zhou, Y. Y. Zhang, Y. Y. Zhang, B. Gao, G. Luo, Z. Y. Wu, T. Zhu, J. Zhang, Z. F. Liu*, S. C. Mu, H. F. Yang, C. Z. Gu.Fabrication of metallic nanostructures by negative nanoimprint lithography. Nanotechnology 2005, 16, 2779-2784. 3. X. C. Yu, R. Zhang, H. L. Peng, Y. Y. Zhang, Z. F. Liu*.The dependence of threshold voltage on pulse duration for DPA(TCNQ)2. Acta Phys.-Chim. Sin. 2004, 20, 561-564. 2. X. C. Yu, R. Zhang, H. L. Peng, Y. Y. Zhang, Z. F. Liu*.Influence of decomposition temperature on the threshold voltage for a series of charge transfer complexes. Acta Phys.-Chim. Sin. 2004, 20, 565-568. 1. X. C. Yu, R. Zhang, H. L. Peng, C. B. Ran, Y. Y. Zhang, Z. F. Liu*.Thermochemical hole burning on DPA(TCNQ)2 and MEM(TCNQ)2 charge transfer complexes using a scanning tunneling microscope. J. Phys. Chem. B 2004, 108, 14800-14803. Jin Zhang, Yingying Zhang. “Controlled Growth of Carbon Nanotubes” (in Chinese). China Science Press. 2019. Muqiang Jian, Kailun Xia, Huanhuan Xie, Yingying Zhang*. “Challenge and opportunities of carbon nanotubes” (Chapter 15) in “Industrial Applications of Carbon Nanotubes” edited by Huisheng Peng, Quingwen Li and Tao Chen. Elsevier, 2017. Rufan Zhang, Yingying Zhang, Fei Wei. 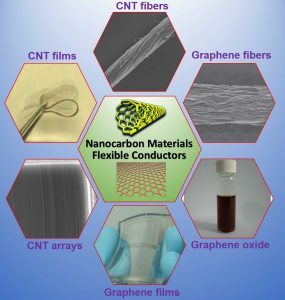 “Synthesis and Properties of Ultralong Carbon Nanotubes” (Chapter 4) in “Nanotubes Superfiber Materials” Edited by Mark J. Schulz, Vesselin N. Shanov and Zhangzhang Yin. Elsevier. 2013.